The Municipality of the District of West Hants covers 124,200 hectares of land. 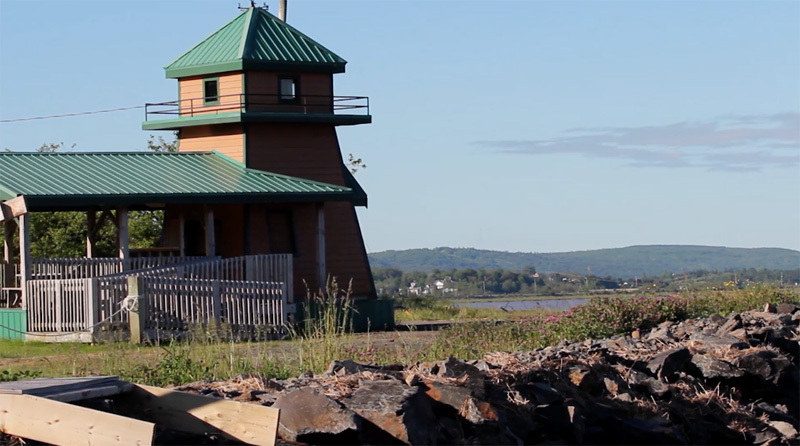 Within the Municipality, the Avon River empties into the Minas Basin where the world's highest tides rise and fall 16 meters (53 feet) along 160 kilometers of shoreline and the banks of tidal rivers. Thirty kilometers of dykes protect 2,436 hectares of land. This highly productive, rich and diverse natural ecosystem has shaped the environment, the economy and the culture of the West Hants region. The effect of the world's highest tides on the Rising Tide Shore has created dramatic cliffs and the red sandstone and volcanic rock have been worn away to reveal fossils from over 300 million years ago. To explore this beautiful coastline, it is first critical to Know the Tides for the beach you're visiting. 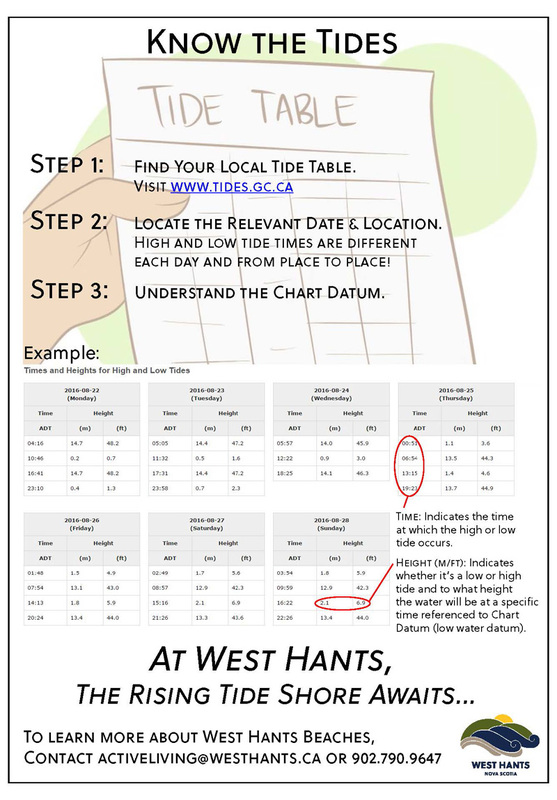 The tide rises and recedes every 12 hours and 25 minutes, so each day the tide times are a little different!